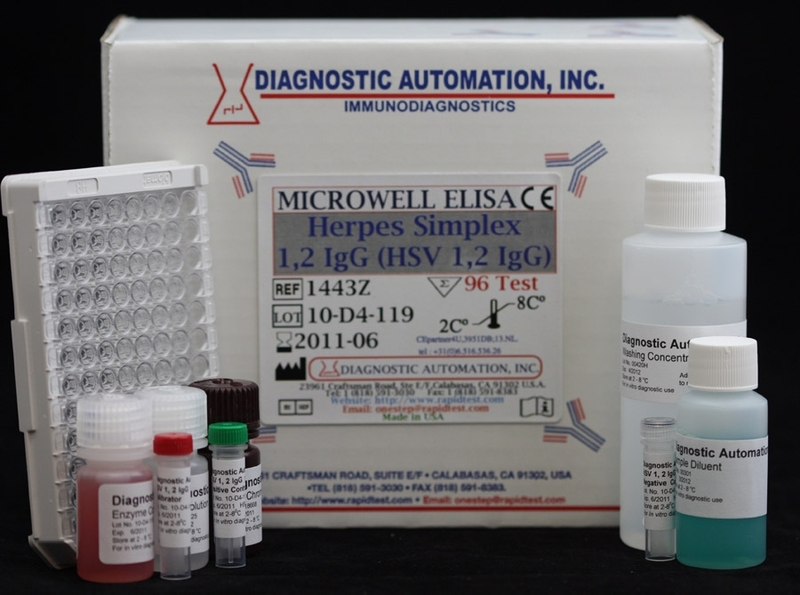 ( Toxoplasma gondii ) Toxo IgA ELISA kit | CE-GMP | 818-5913030-USA. 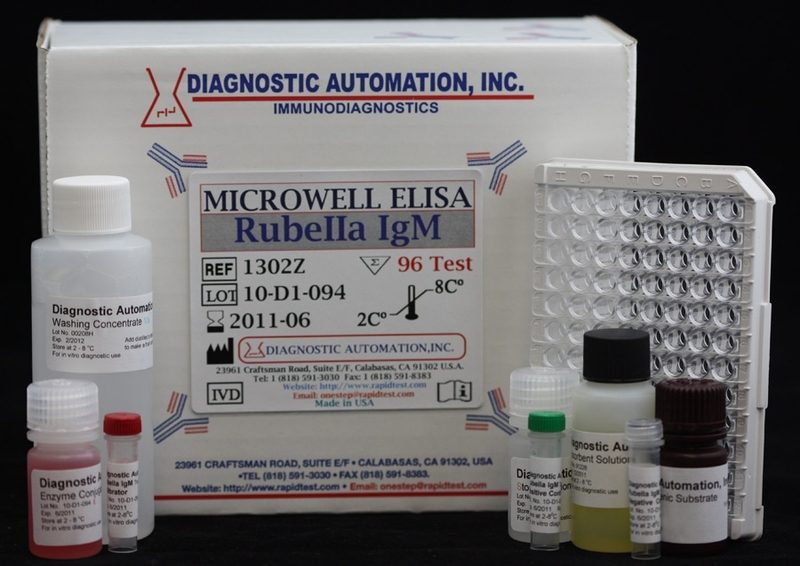 The Diagnostic Automation Toxoplasma IgA ELISA kit is intended for use in the detection of IgA to Toxoplasma gondii. Toxoplasmosis is caused by the intracellular parasite Toxoplasma gondii and may be contracted by consuming contaminated meat or by contact with cat feces containing oocysts. In adolescence and adulthood, most infections are subclinical. However, if a pregnant woman contracts toxoplasmosis, it may be passed through the placenta to the fetus, resulting in congenital toxoplasmosis, which is a cause of mortality and malformation. Asymptomatic infants may develop anomalies later in life. Purified Toxoplasma gondii antigen is coated on the surface of microwells. 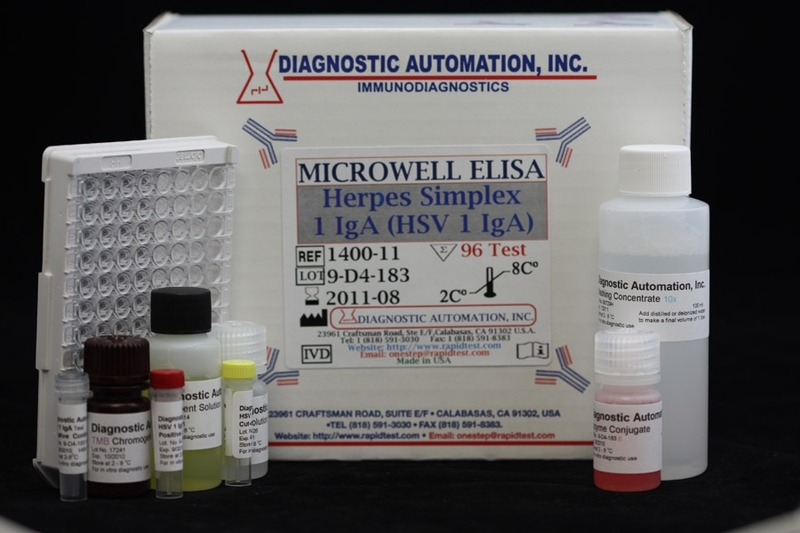 Diluted patient serum is added to wells, and the Toxoplasma gondii IgA specific antibody, if present, binds to the antigen. All unbound materials are washed away. After adding enzyme conjugate, it binds to the antibodyantigen complex. Excess enzyme conjugate is washed off and TMB Chromogenic substrate is added. The enzyme conjugate catalytic reaction is stopped at a specific time. 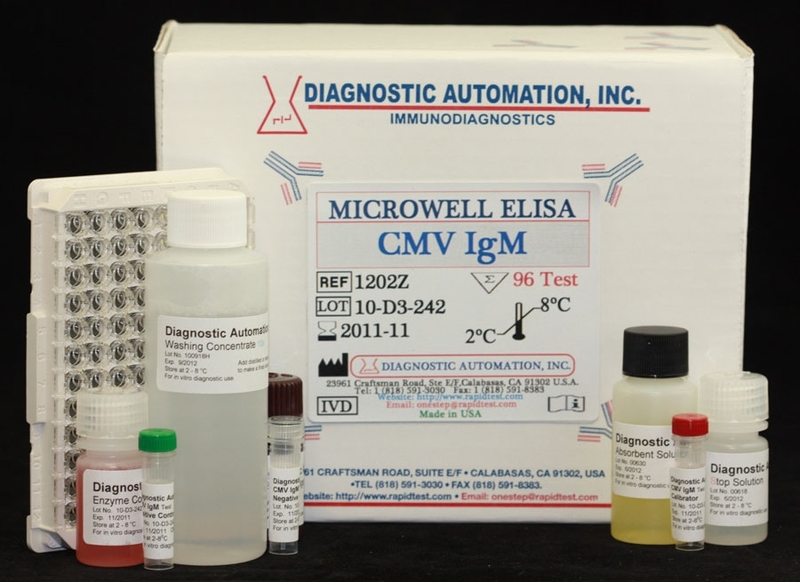 The intensity of the color generated is proportional to the amount of IgA specific antibody in the sample. The results are read by a microwell reader compared in a parallel manner with calibrator and controls. 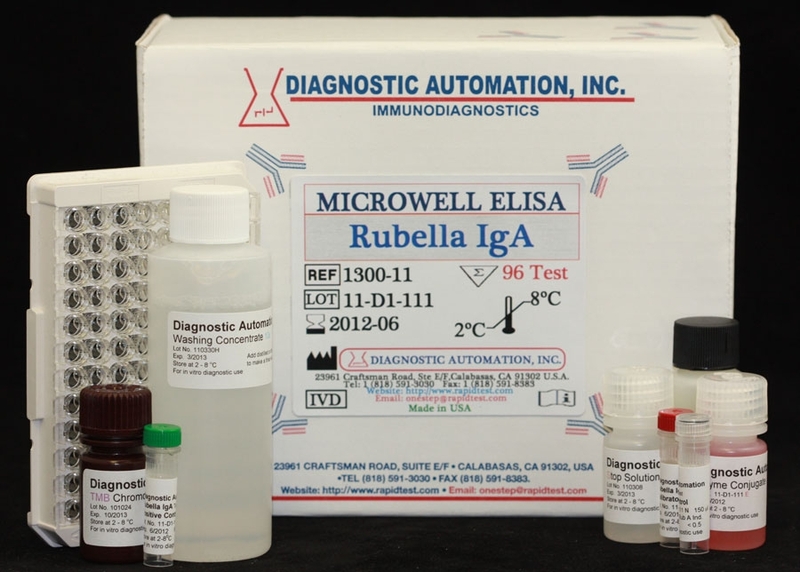 For more information about ELISA Kits, Rapid Tests, IFA Kits, CLIA Test Kits, or Serology tests, please see our website home page, or contact our Customer Service Representative at 818-591-3030.